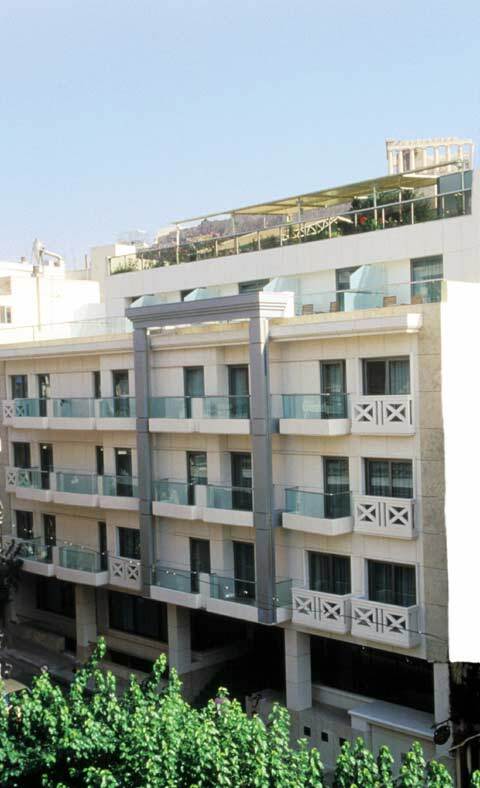 Just a few steps from the Acropolis and Plaka, adjacent to the new Acropolis museum, they are situated at the very heart of Athens historic center. 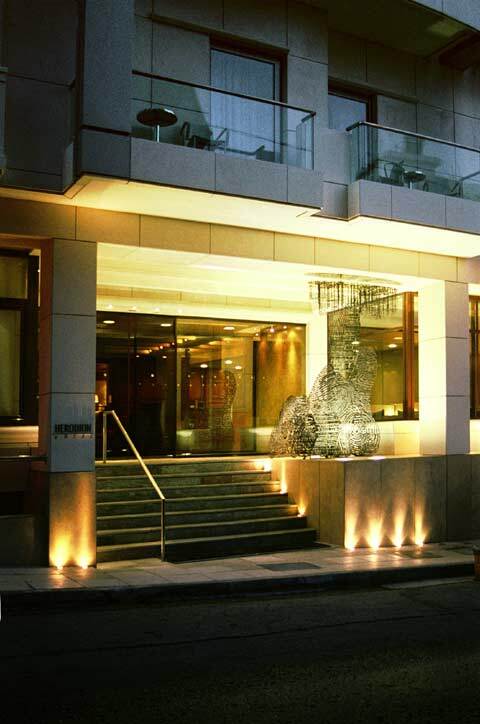 The Herodion Hotel is a superior, first class hotel with an elegant contemporary look, contrasting to the ancient and historic environment. 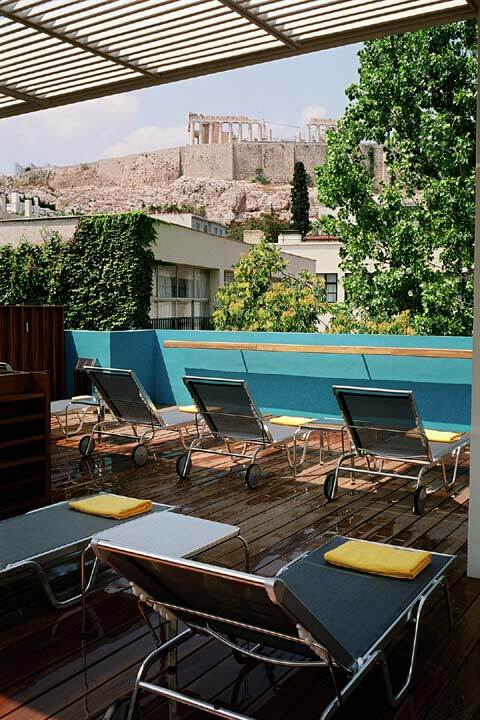 The spectacular view of the Acropolis and the hearty hospitality has built the character and reputation of the hotel. 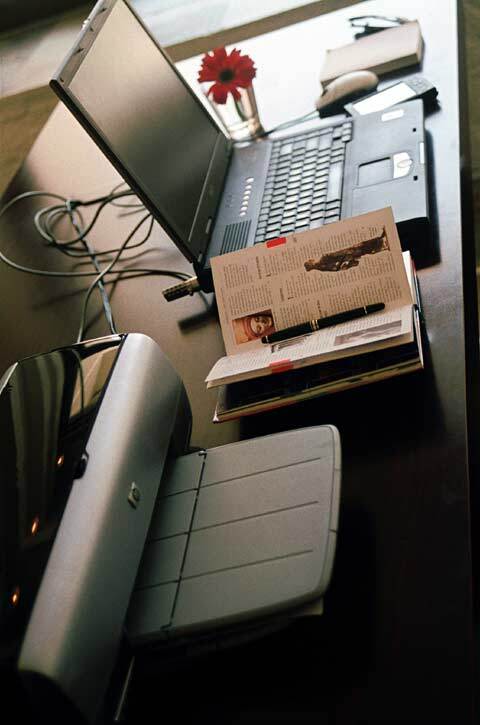 It is designed to meet the needs of the most discerning business and leisure travelers. 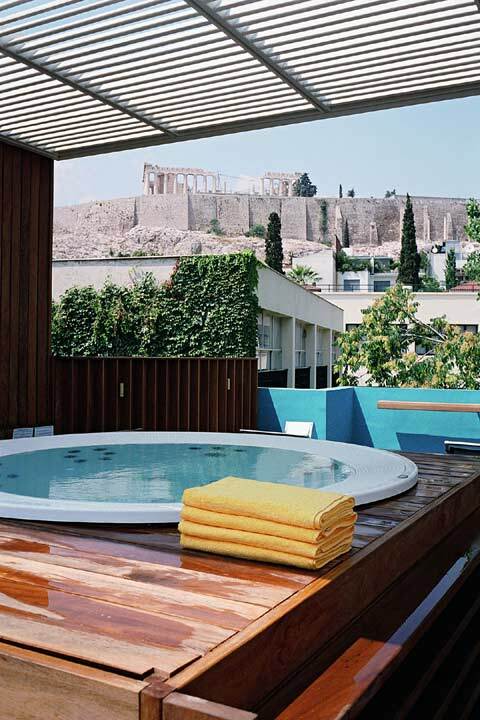 The service is reassuringly attentive and the 90 guest rooms are tastefully attractive, some with a spectacular view to the Acropolis and well equipped with modern facilities. 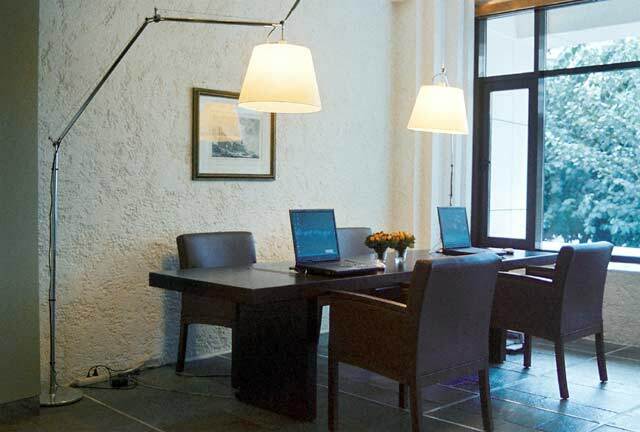 By focusing on the consistent delivery of the highest possible service standards and by offering an environment of discreet luxury and comfort, the Herodion promises to make even the shortest stay a unique and memorable experience. 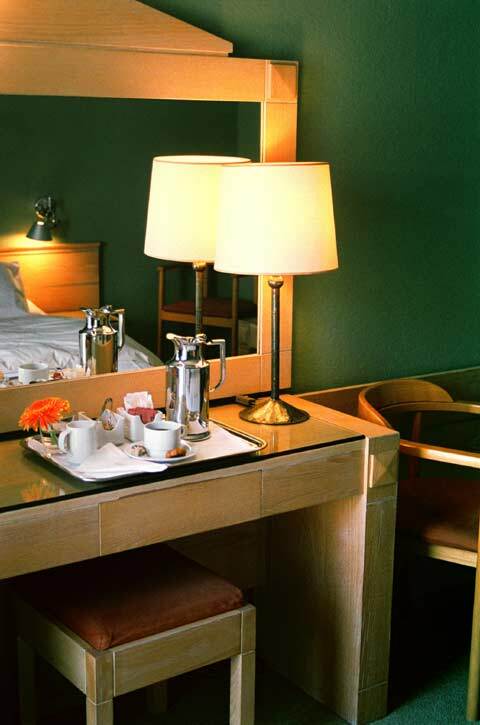 Our eighty six guestrooms and four minisuites are tastefully furnished with individual care and attention, so as to cater to every need and comfort. 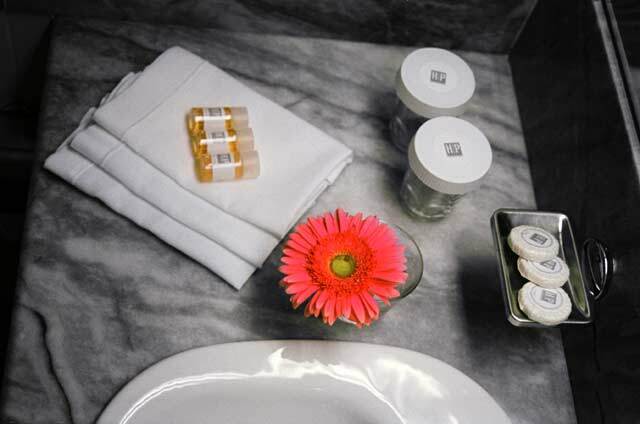 Our bathrooms are recently renovated to ensure every comfort and convenience, with marble floors and walls, built-in hairdryer, magnifying mirror with built-in light for a close shave or makeup, shower gel - shampoo - soap - washcloths, and daily change of linen. 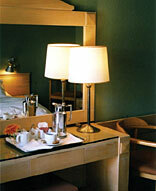 A few of our rooms have spacious bathrooms with rails for handicapped guests. 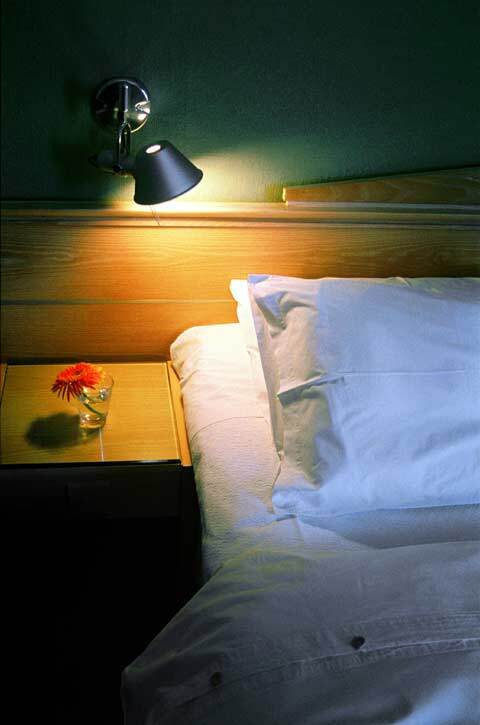 All guestrooms are equipped with all modern conveniences, like: Card operated door, double insulated exterior windows, ambient low voltage lighting, hand-ironed laundry delivered in wooden baskets, evening turndown service, air-condition, in-room electronic safe, direct dial phones with voice mail messaging system, satelite T.V., Wireless internet access, mini bar. 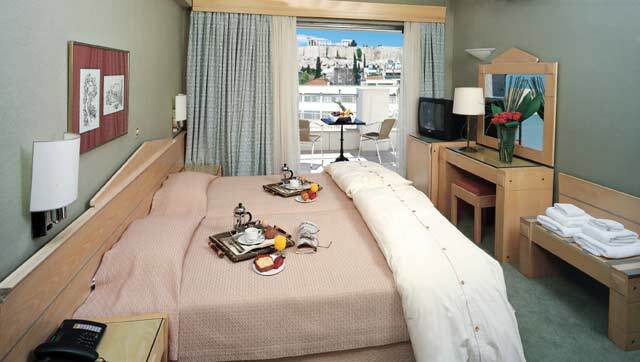 Most of the rooms have private balconies and some with breathtaking view of the Acropolis. Also Room Service is available from 08:00 a.m. till 01:00 a.m.
All room arrangements come with complimentary rich American Buffet breakfast, served at our main Restaurant. 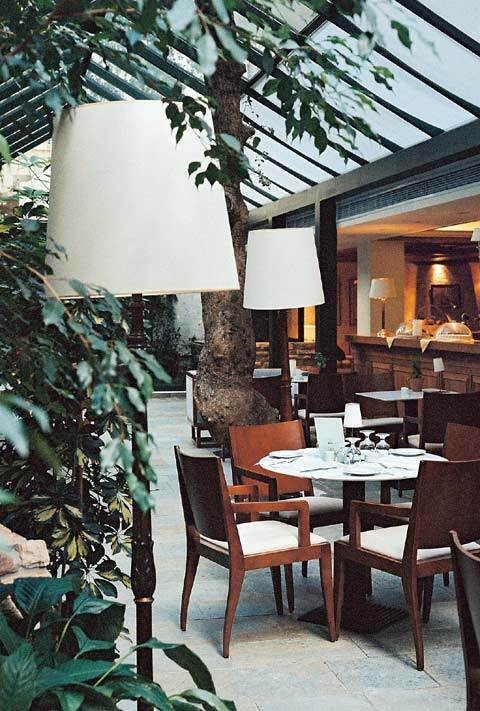 Our Bar is in a beautiful setting with intimate atmosphere, fine antiques, Greek works of art, rustic walls, wooden ceiling, parquet floors, woodburning fireplace and cosy overstuffed chairs. 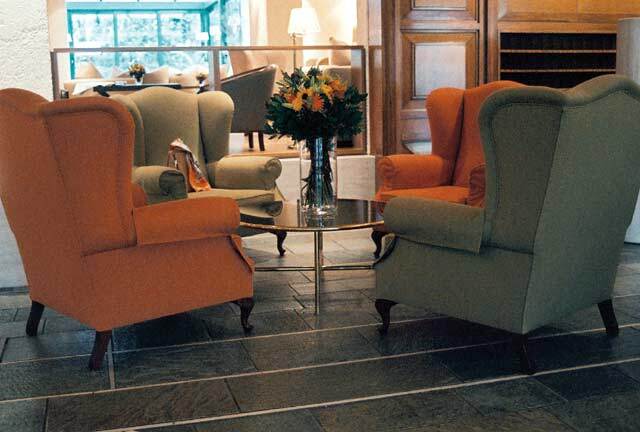 A setting that has a touch of a fine personal residence. A warm, and elegant sensation. You will receive all the attention and pampering you deserve. (Maybe some "insider" Athens tips from our bartenders, as well). 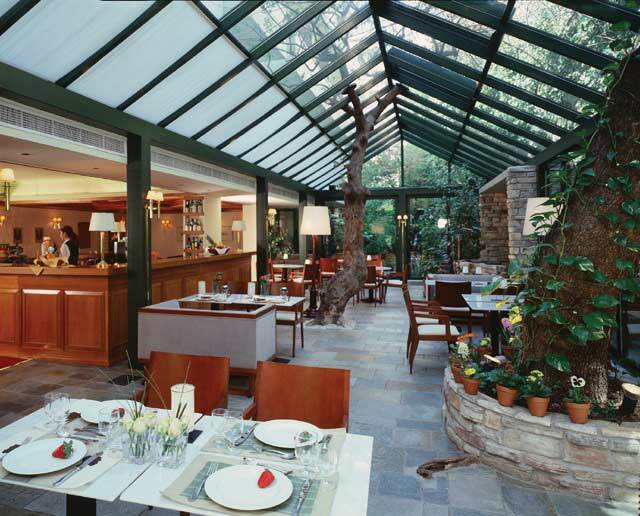 Both in our Restaurant as well as in the Atrium coffee shop you may taste the classic international selections and sample the creations of our chef from the modern Greek cuisine. 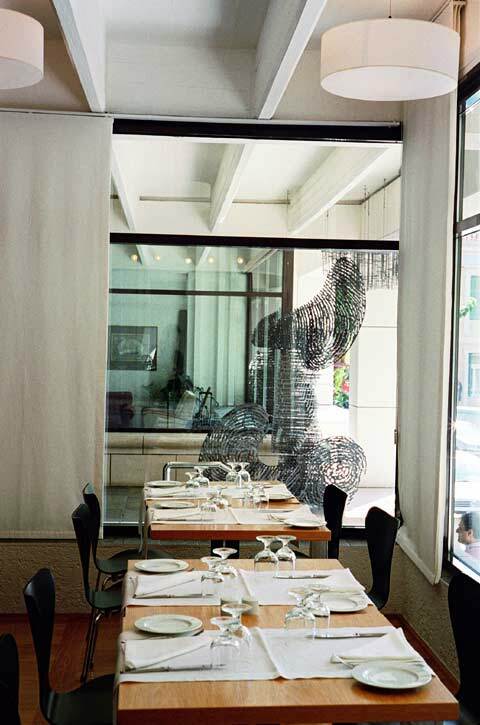 Imaginative versions of Greek and Mediterranean dishes with all the care and attention of the best home cooking. Bar Operating Hours : 10:00 - 01:30. If you are familiar with HERODION, please share your opinion of it with other travelers. Write a review! 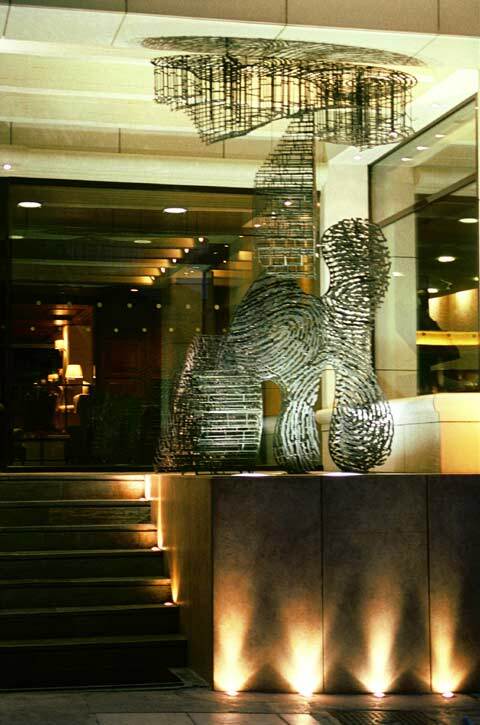 The hotel was first class from the interior to the staff,very friendly,chamber maids were excellent,as was the food in the restaurant.Definatly going back.